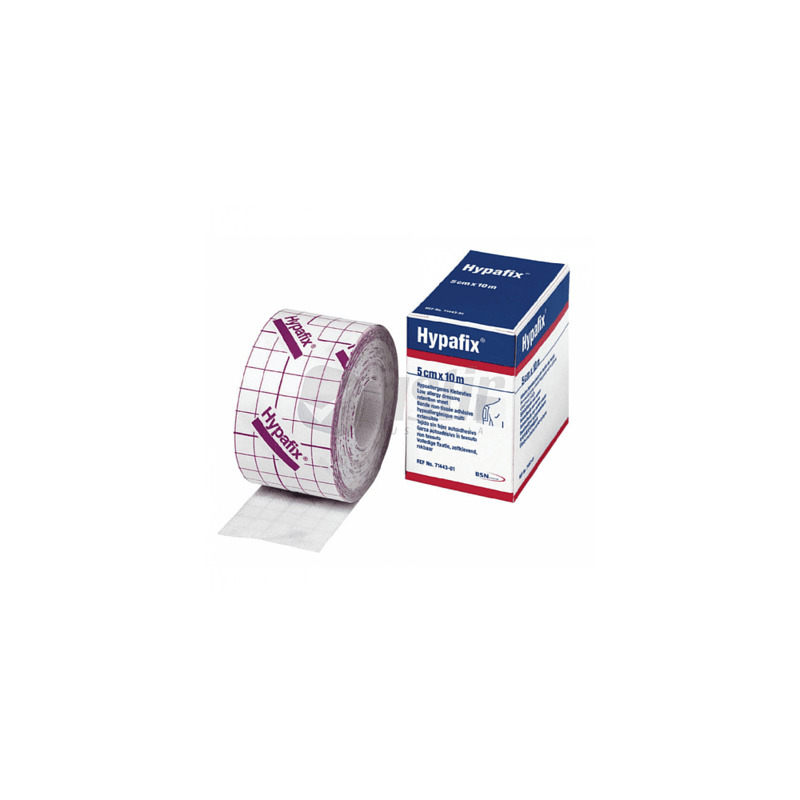 Hypafix Tape 5cm x 10m This tape is has dual function: commonly used for securing dressings and as under tape for sports taping it is also excellent for taping toes and feet when treating blisters or for preventative taping of areas prone to rubbing. Cut first, then remove the backing. Always make sure skin is clean before taping (alcohol wipes can be used) and always cut round corners to avoid the tape peeling off. We highly recommend Hypafix tape for hotspots and to secure dressings, it features in our handy footcare kits! The boxed tape weighs 102g, the tape on its own weigh 91g.